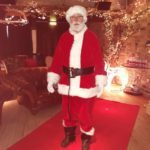 John McCormick writes: I’ve just had my card declined when trying to make a donation to the Whitechapel Centre, which helps homeless/rough sleepers in Liverpool. There were no problems when giving to MIND, where I donated in order to support my niece, Ski, who’s running for them every day in January. (Just letting you know, should last week have left you in a generous mood). Fifty years ago such things wouldn’t have concerned me. In contrast, the lineup for this match might have. Now I can’t remember anything about the game. 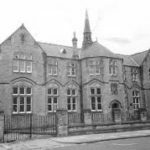 We are back in 1964-65 for this one – an age of two TV channels, Doggarts club and Year 3 at Bishop Auckland Grammar School. The arrival of two “sporty” male teachers in Neil Duckworth and Bill Graham was causing a bit of a hubbub amongst the impressionable boys while many of the more advanced boys, ie those who had not only reached puberty but who understood what all those strange eruptions and feelings were, were appalled that the elegant, beehived French teacher was walking out with the handsome if rather dishevelled history master. And Miss Preshous continued to wear her leopard skin waistcoat. At this point readers might like to visit this BAGS website, especially the staff photo from 1963, or perhaps that of pupils in 1961/2, to remind themselves of what this would have meant. And let’s not forget M Salut’s very own memoir of those days. 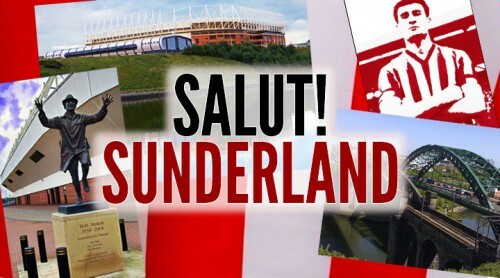 On the football front, I was coming to the end of my first full season as a Sunderland supporter. It hadn’t been easy. The shambles at the start of the season, when the board of directors had picked the team had mercifully ended and George Hardwick had taken over. “Gentleman George” was a former England captain and had also captained a Great Britain team when it took on and defeated a Rest of Europe side 6-1 in 1947. He played 143 times for Middlesbrough and 156 times for Oldham Athletic, where he was player manager between 1956 and 1960. After that, he managed PSV Eindhoven and the Netherlands national team for a short while – and long before the likes of Cruyff, Neeskens and Haan arrived on the scene. His appointment at Sunderland was a surprise. He had been running a chain of Regent garages in the Teesside area and seemed to be finished in football. 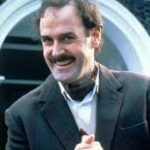 With his pencil moustache, brushed back hair and cravat, he looked like a prototype Basil Fawlty but his management skills were sound and by the time a struggling Birmingham team arrived on Wearside, he had taken us to the heady heights of 15th. City arrived bottom of the league on Easter Saturday. Twenty Four hours earlier, fellow West Midlanders and relegation candidates, Wolves, had beaten us 2-1 at Roker and had given themselves some hope of escaping the relegation trapdoor. The City game was thus an important one for both clubs; a win for us virtually guaranteed safety (only two went down then) while for Birmingham, defeat would just about confirm relegation. Sandy McLaughlan; John Parke, Len Ashurst; Charlie Hurley, Dickie Rooks, Jimmy McNab; Mike Hellawell, George Herd, Harry Hood, John O’Hare, George Mulhall. Dickie Rooks replaced Martin Harvey and George Mulhall was in for Brian Usher from the previous days game. Usher only played due to the fact that Allan Gauden, who was due to make his debut, arrived late as his car had broken down en route to Roker. The Aberdonian winger celebrated his recall by scoring the winner in the 73rd minute. Harry Hood, signed from Clyde by The Selection Committee, had given us the lead in the 26th with City drawing level with a penalty from full back Stan Lynn just before half time. He had joined the Blues from cross-city rivals Aston Villa after a successful career at Villa Park. He had played in the 1957 FA Cup winning team, won a Division Two winners medal in 1960 and was a League Cup winner the following year. He had also scored a hat trick against us in January 1958, the first instance of a full back performing such a feat. John Schofield; Stan Lynn, Brian Sharples; Terry Hennessey, Winston Foster, Malcolm Page; Alec Jackson, Cammie Fraser, Micky Bullock, Geoff Vowden, Dennis Thwaites. Like Tony Macedo of Fulham, Vowden was a bit of an exotic in the days when someone from Scotland was an “import”. Although born in Barnsley, he was really a Channel Islander, being brought up in Jersey and coming through their system before being picked up by Forest. 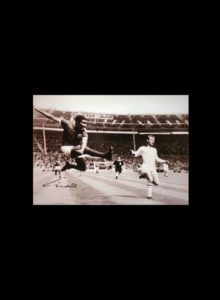 He joined City in October 1964 and, like Lynn, has a hat trick claim to fame when he became the first substitute to score three when he performed the feat against Huddersfield Town in September 1968. 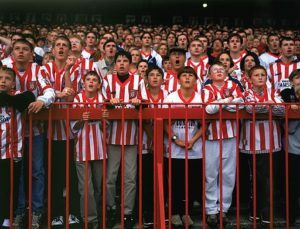 The crowd at Roker for the Good Friday home defeat to Wolves had been an impressive 43,328. Twenty-four hours later 11,000+ decided that a day on the beach at Seaburn was preferable to watching this game and the crowd dropped to 31,958. I would be delighted if the crowd reached that size on Saturday both teams find themselves in similar positions to those of 52 years ago. 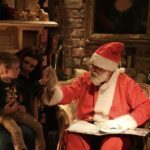 A similar result would spark another outbreak of whooping in Santa’s Grotto at As You Like It in Jesmond……. 1. It was my first ever Birmingham game. 2. It was an evening midweek game. 3. Birmingham, much the better side, were at one stage 5-2 up. 4. Fred Pickering and Jimmy Greenhoff were both playing up front for Birmingham. 5. Birmingham were playing in a red change strip. 6. I can’t recall the Portsmouth team at all but I thought Cliff Portwood was playing and scored one of the two consolations. Portsmouth v Birmingham City, Fratton Park, 24 August 1966. Div-2. Attendance: 16,934. Birmingham City 5 (Bridges, Vowden 2, Murray, Beard). Having looked up various bits of data, I can say Cliff Portwood wasn’t playing but was still at Portsmouth. This is too early for Jimmy Greenhoff and Fred Pickering – so I must have seen them in the Fratton 0-0 draw on 15 March 1969 or the 1-2 Pompey defeat on 2 March 1968 (Pickering & Foster goals). Looking at Birmingham’s scorers, I knew Geoff Vowden only as a semi-regular Forest player. Similarly it came as a surprise to me that both Barry Bridges and Albert Murray had even played for Birmingham let alone scored for them at Fratton Park in front of my very eyes. Malcolm Beard on the other hand I knew as a Birmingham stalwart at left half. Portsmouth: John Milkins, Roy Pack, Alex Wilson, Johnny Gordon, Frank Haydock, Harry Harris, Tony Barton, Albie McCann, Ray Hiron, Brian Lewis, Bobby Kellard. Birmingham (can’t find it but it would have been something like): Jim Herriot, Ray Martin, Colin Green, Trevor Hockey, Winston Foster, Malcolm Beard, Albert Murray, Geoff Vowden, Mick Bullock, Ron Fenton, Barry Bridges. 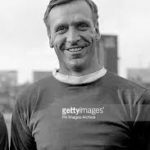 A number of other well-known Birmingham players may have featured – amongst them: Malcolm Page, Bobby Thomson, Phil Summerill, Ron Wylie, Cammie Fraser, Denis Thwaites, John Schofield. In any case they may well have had Bridges at #9, Hockey at #11, and Page at #4. Conclusion: It was an attacking transition team just before the Campbell-Francis-Latchford-Hatton-Taylor forward line of 1972 when they had just been promoted to Div-1. 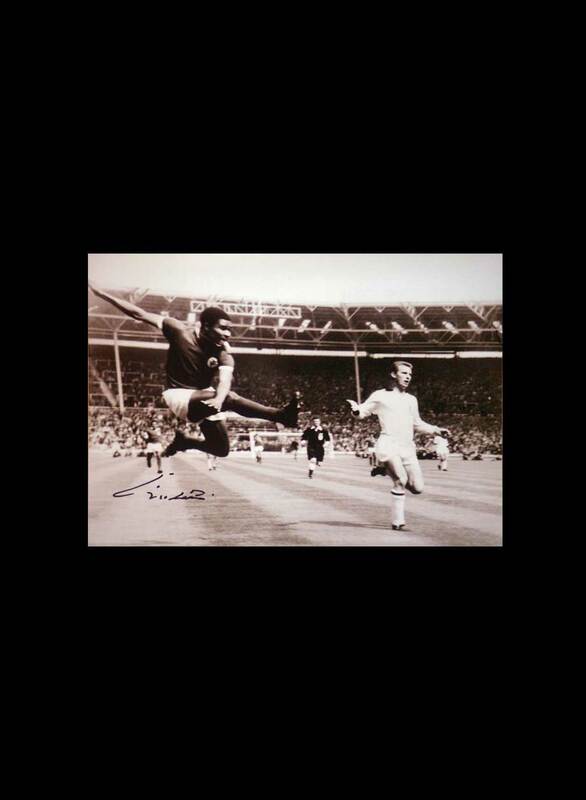 Anyone recall the two classy “H” wingers we signed from them in the 60s? 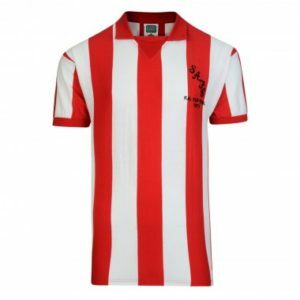 And now – just to complete my confusion – I realise that I also saw that 2-1 game at Roker at Easter 1965 which predated the game at Fratton I’ve just agonised over. 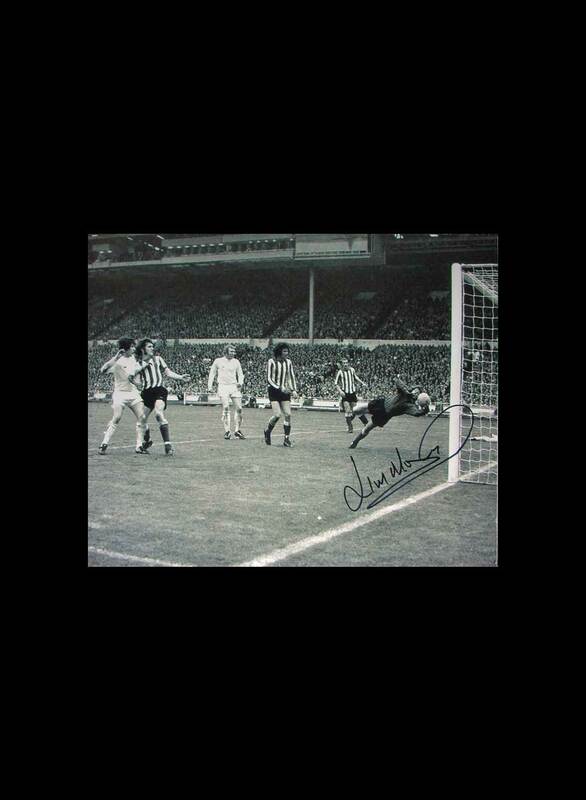 My memory of this Roker game is that we weren’t very good and were somewhat fortunate to win. Harry Hooper and Mike Hellawell. Harry was a good player who I always liked. Hellawell was a good club cricketer and played one first class game for Warwickshire – probably against The Free Foresters or someone similar. that Hurley played right half with rugged Rooks in the centre. Ma Rowell her very self. Far too sexily attired for a BAGS teacher in 1964-ish. Pa Rowell won the race (hence Ma Rowell) and he punched some VIth Former at a school disco for getting an erection within 6 feet of her. To be fair, she did trigger a lot of erections. To be fairer still, it didn’t take much.